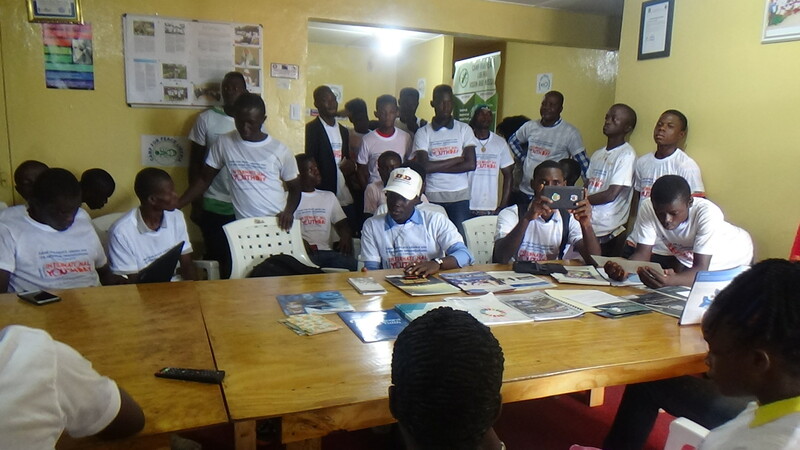 Camp for Peace Liberia collaborates with 18 youth organizations to celebrate International Youth Day 2018. 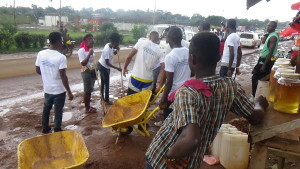 The celebration which started on Saturday, August 11 brought together over 150 youths and volunteers from various organizations and communities in Montserrado and Margibi Counties. 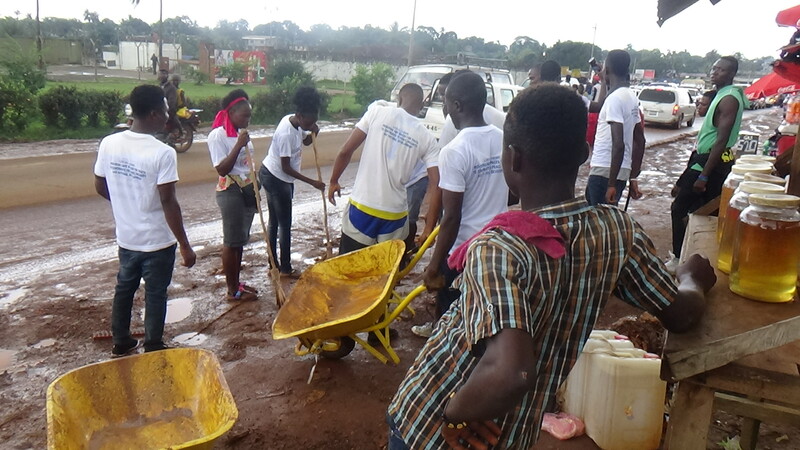 On Saturday morning they assembled at the Parker Paint junction to conduct a massive sweeping of the community, cutting grass and filling in cracks and holes on the main road from the Parker Paint junction to Coca Cola factory. The youth consider the road repair as high priority since cars and other vehicles do not move smoothly and so traffic congestion causes delay in traveling and movements. This was done to showcase the potential young people possess in contributing to national development. This year’s celebration is being held under the theme, “Safe Spaces for Youth”. This theme promotes not only youth’s right to participate in decision-making processes, but also the role played by society and governments in creating and maintaining an environment that is safe for and inclusive of youth. 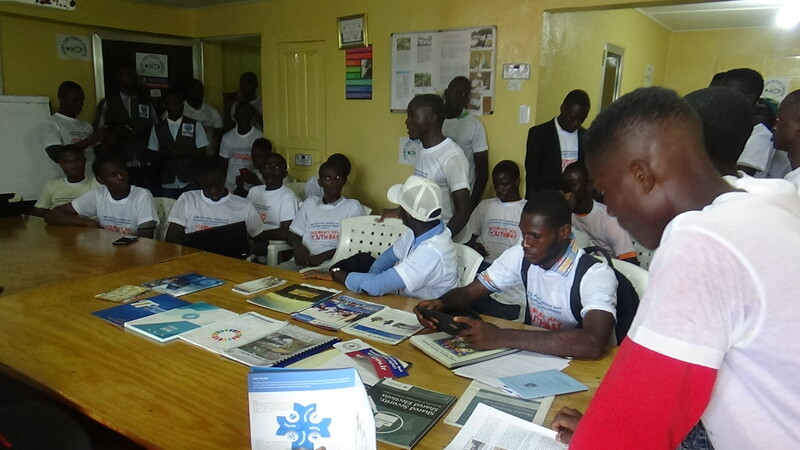 Providing safe space enables young people to come together, engage in activities related to their diverse needs and interests, participate in decision making processes and freely express themselves. Camp for Peace Liberia and its networks seek to provide that space through a platform that motivates and teaches young people about their responsibilities, providing opportunities for civic engagement, and encouraging them to participate in Peace, Security and Development. Also on Monday, August 13th, network organizations alone with government officials, media practitioners, academicians, students, and many more will participate in different interactive discussion on issues of national growth and development, including the inclusion of youth into developmental practices, and societal reforms. This program will give young people the opportunity to be recognized for their work and inspire them to undertake impactful initiatives in their various communities. Other activities for the day include, but not limited to panel discussions, enabling the youth to listen, learn from other youth who will serve as speakers and panelists, and participate in every various discussion. The program will be held at the Billiecall High School in Wood Camp, Paynesville. 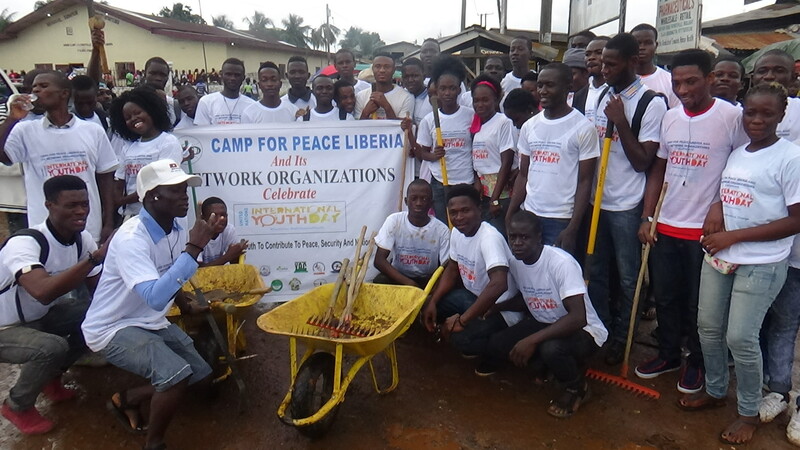 Camp for Peace Liberia wishes to extend special recognition to the following youth organizations for their commitment, dedication and love for country. These youth organizations include: Peaceful Youth Association for Transformation, Access Empowerment Network, Liberia Information Technology Student Union, Good Youth Intellectual Association, Mineke Foundation, Liberia Research and Development Network, Youth Media Network, PELHAM Foundation, Potential Youth Association, Girls Alliance for Future Leadership, Say No To Child Labor, Students Against Corruption, Transformation of the Future Foundation, YARD-Liberia and Girls for Literacy. We also want to acknowledge and thank the Paynesville City Corporation for making tools available for the work.